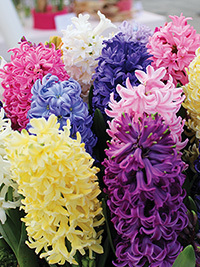 Hyacinth Collection, 5 bulbs each of 5 different varieties. Very fragrant. Early spring flowering, 25 cm tall.